I took the Jalie jeans pattern and morphed it into a pair of capri pants. Actually, in looking at the photo, they're more of a pedal pusher. Just like the jeans, they are very comfortable and have a great fit. 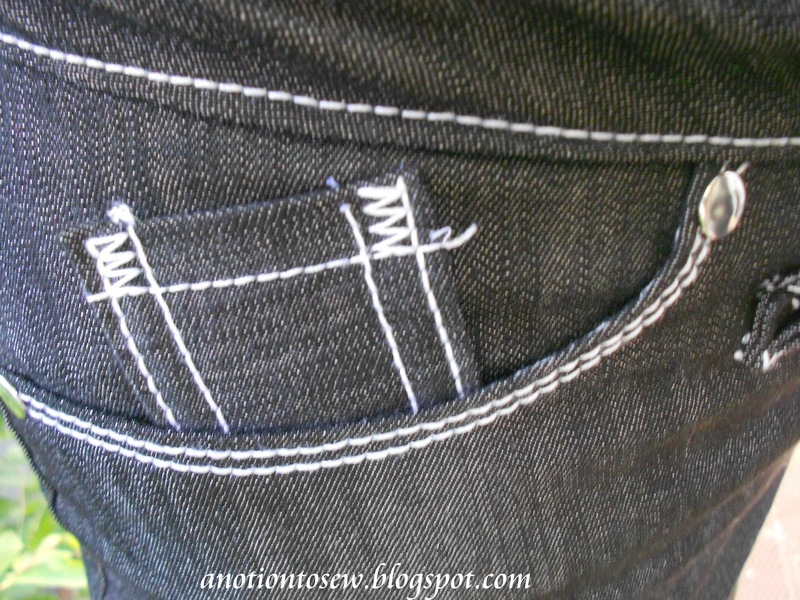 I used a black stretch denim from Hancock Fabrics and I topstitched with white topstitching thread. You can also see the rivets that I added to this pair. I did not include them on my first pair because my jeans had gold topstitching and I wanted to add gold rivets, but they were nowhere to be found locally. 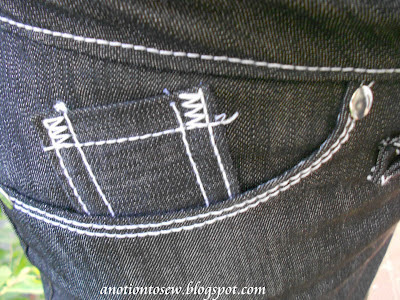 Does anybody have a source for jeans hardware? I love the more RTW look of jeans with rivets. 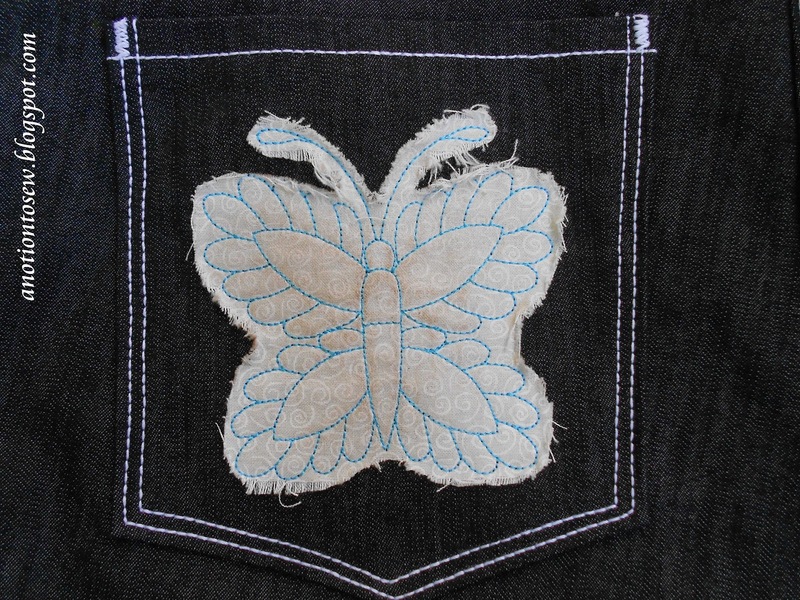 For the back pocket design, I decided to go with an embroidered applique. 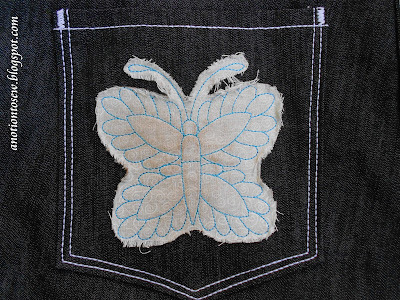 I chose a subtle white tone-on-tone print fabric for the butterfly and used teal embroidery thread. If you are in the U.S., have a terrific and safe Memorial Day weekend. Very well done! I really like the contrast stitching and the applique. Allowing the edges to fray sounds like a great idea. Isn't it nice also when we can pull tricks from one hobby to another? Taylor Tailor has jeans rivets in nickel, copper, and brass (and, bonus, they're Made in USA). I haven't used this shop before but, I've read positive things about it.